Ever since I ate the Mandilli de Seta (handkerchief pasta, Ligurian almond basil pesto, fiore sardo) at Factory Kitchen, it has been one of my favorite Italian restaurants. So, when I heard they were offering a Happy Hour menu, I decided to go check it out. While the Mandilli de Seta is not on the Happy Hour menu, there are many delicious options. 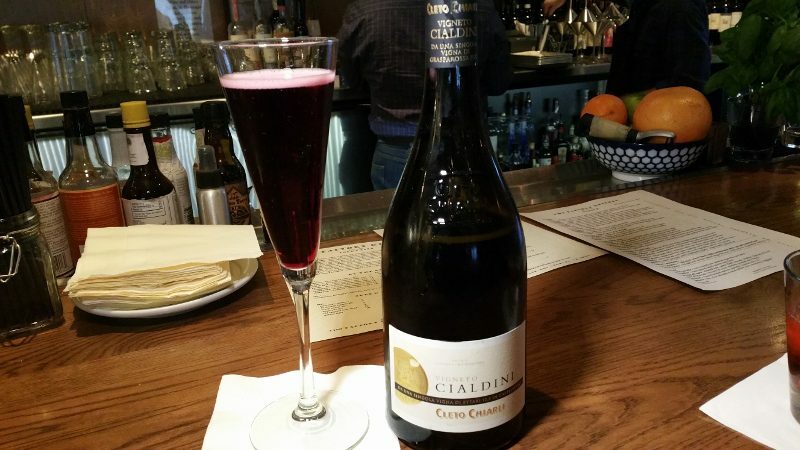 Some are smaller versions of items on the dinner menu and other items are exclusively for Happy Hour. But, the best part is that everything (food, wine and cocktails) is between $6-$11. We started with the Frittino di Verdura (fried baby leeks with chickpea fritters). Well-salted and crispy, this is an addictive dish. I washed down the salty fried snacks with a glass of crisp, fruity Cleto Chiarli Lambrusco di Grasparossa from Emilia-Romagna, Italy. 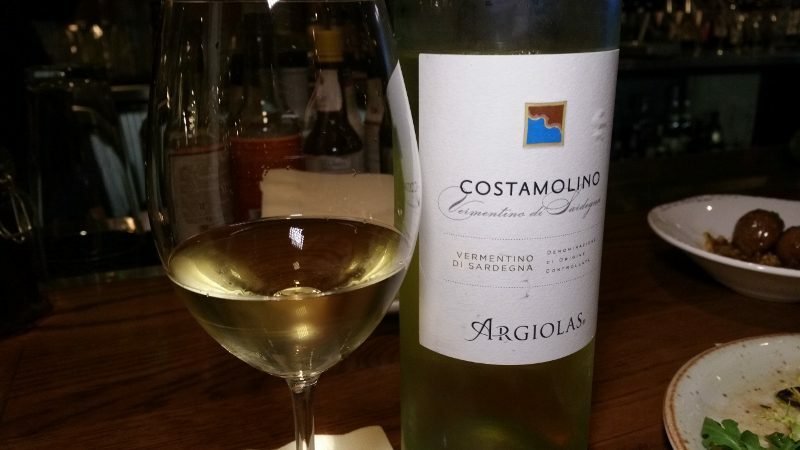 I ordered a glass of Argiolas Vermentino from Sardegna, Italy to enjoy with the shrimp and bone marrow. 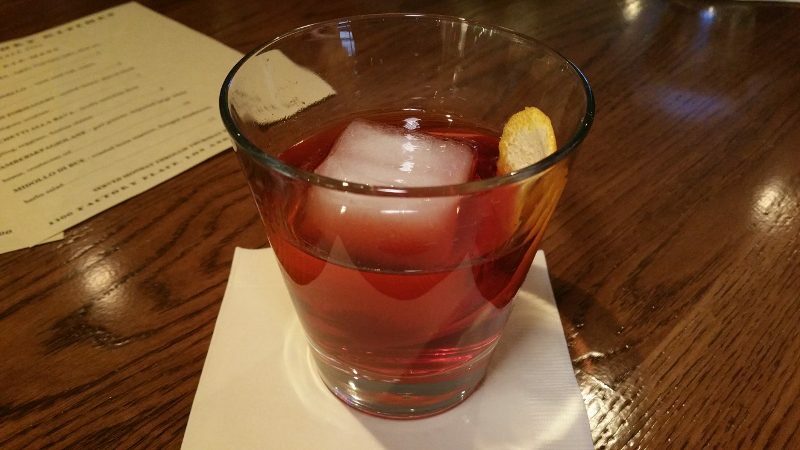 My friend ordered a Boulevardier made with bourbon, campari and sweet vermouth. 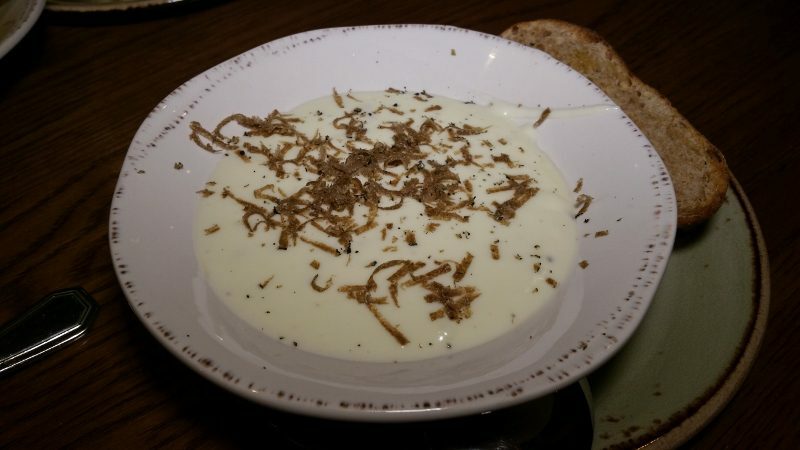 Next up was the Fonduta di Formaggio (melted cheese, shaved black truffle, multigrain crostone). 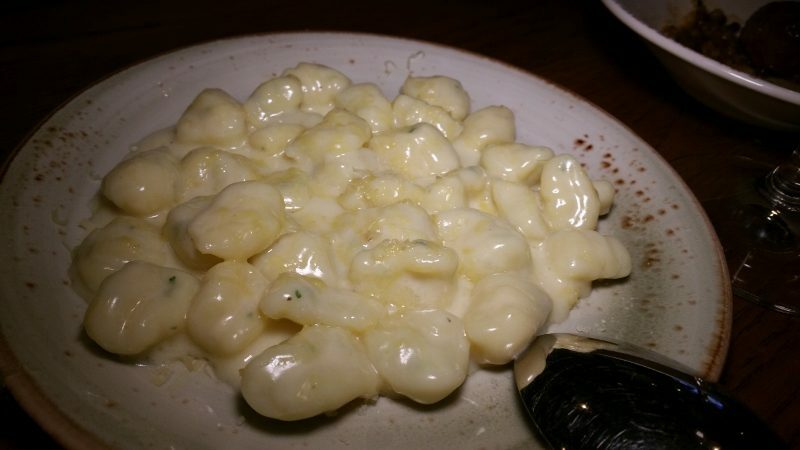 There is nothing more decadent and delicious than creamy melted cheese and truffles. For a final round of drinks, we had a glass of Sant Antonio Corvina, Valpolicella Ripasso from Veneto, Italy and a Hemingway Daiquiri (rum, lime, maraschino and grapefruit). And the food kept coming! Polpette d’Agnello (lamb meatball, cumin and natural jus) served with twice baked couscous and fregola sardo. The Happy Hour at Factory Kitchen is very filling and satisfying and will leave you very happy. Happy Hour is offered Monday – Thursday from 5pm – 7pm so if you work downtown or are heading to the theater or a sporting event, make a point to stop here first. 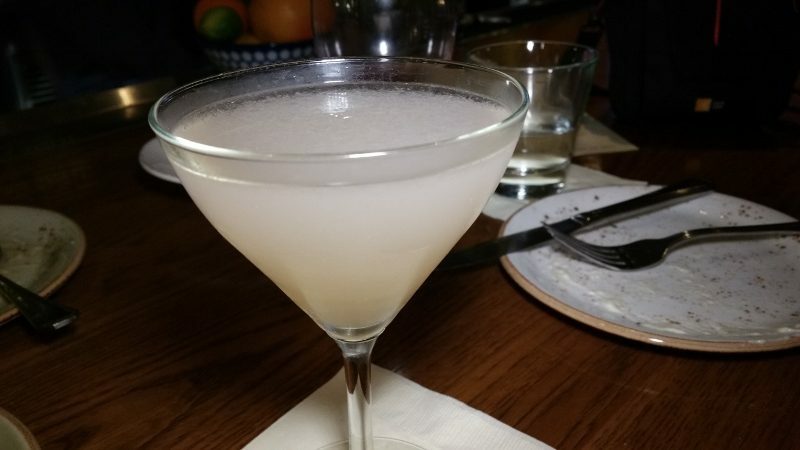 This entry was posted in Cocktails, Food, Wine and tagged bone marrow, Cleto Chiarli Lambrusco di Grasparossa, downtown LA, Factory Kitchen, Happy Hour by Allison Levine.